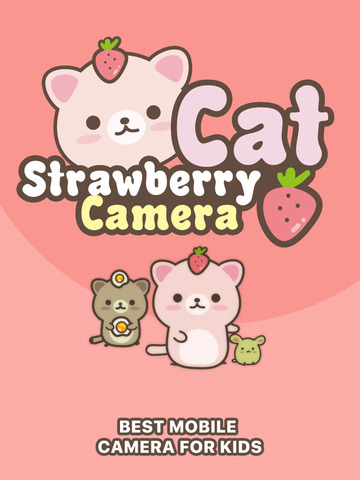 Strawberry Cat Camera is a fun photo editor, whether you’re a seasoned photographer or someone who’s barely touched a camera, Strawberry Cat Camera will make you love taking photos. 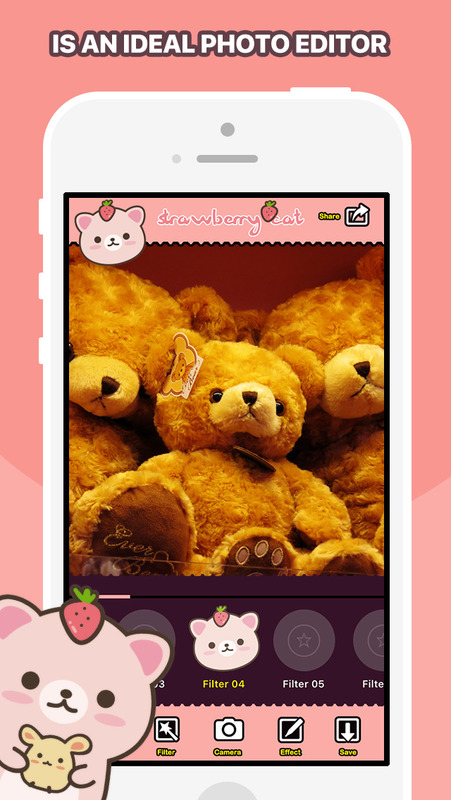 • Lively cartoon character interface. 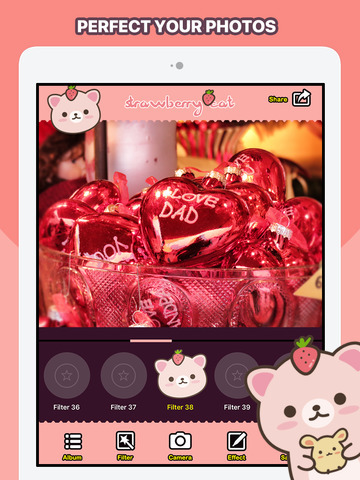 • Total offers 148 filters and effects models. • Experimental spirit of innovative photographic app. 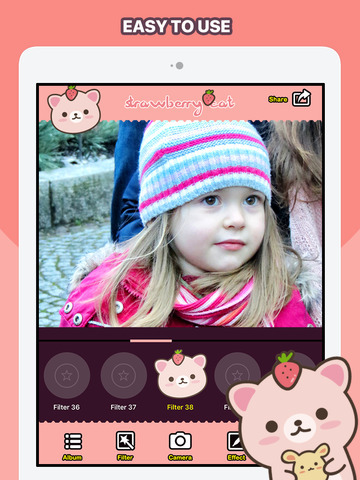 • Effect Transparency Adjustment feature. • Save to album and e-mail. 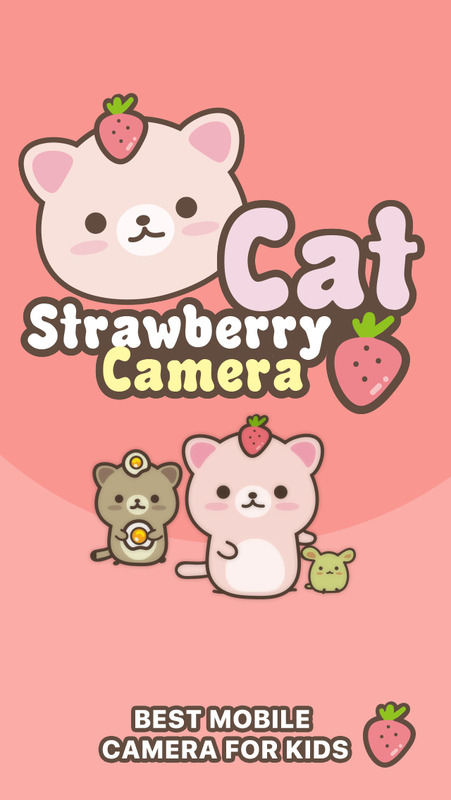 Copyright © Strawberry Cat.All Rights Reserved.